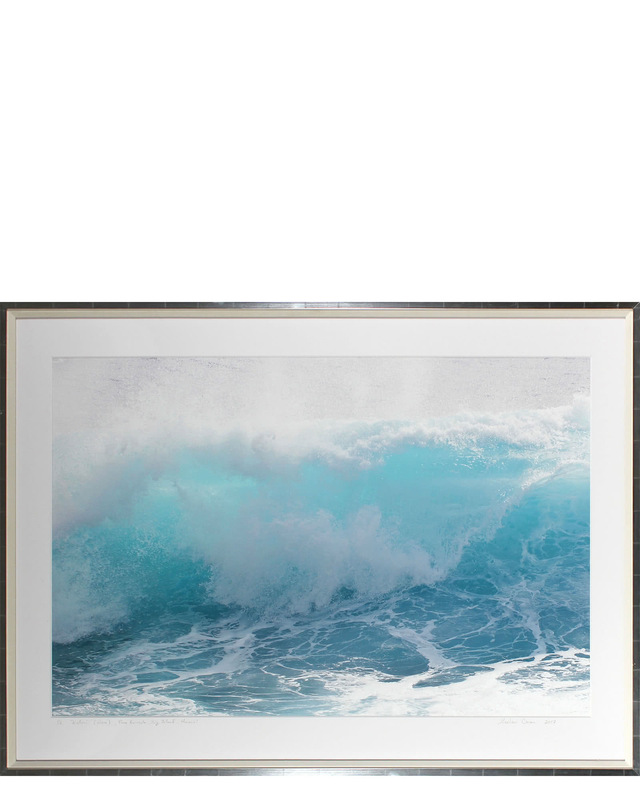 "Kalani (Wave)" by Gaetan Caron&quot;Kalani &#40;Wave&#41;&quot; by Gaetan Caron, alt="&quot;Kalani &#40;Wave&#41;&quot; by Gaetan Caron, "
Archival inkjet print on hahnemuhle fine art pearl paper, contemporary frame. Entitled "Kalani (Wave)" this 2017 photograph of a wave is by contemporary Mendocino/Bay Area artist, Gaetan Caron (b. 1964), co-founder of Lost Art Salon in San Francisco. Part of the fine art photography documentation of the artist’s homestead in Mendocino, Northern California. Produced in a limited edition of seven and printed on archival Hahnemuhle Fine Art Pearl paper. 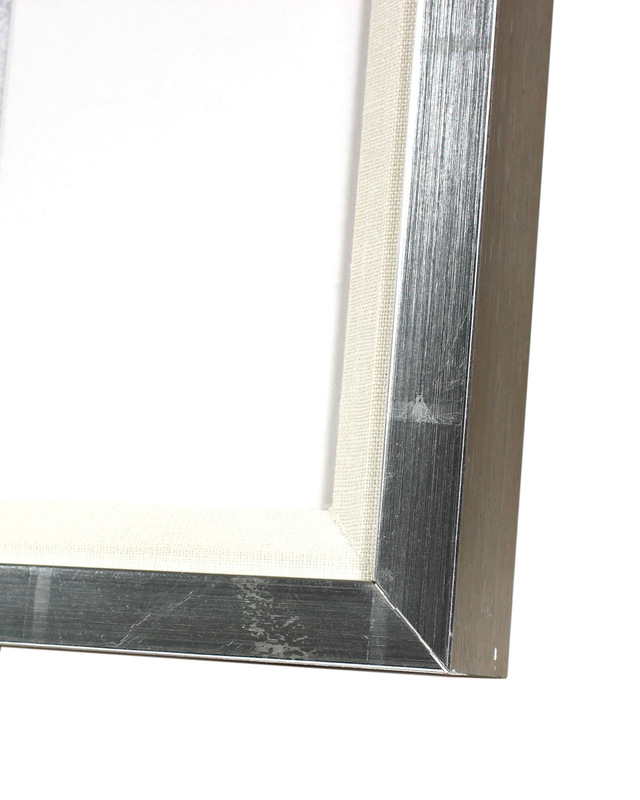 Framed in a contemporary wood frame with silver face and gray sides using a cream linen fillet, 8-ply archival matting behind conservation clear plexi. Overall Dimensions: 53" x 39.25"